There have been growing concerns in Denmark and the rest of the world when it comes to bacteria that are resistant to antibiotics. But research from Denmark may have a solution in sight. Researchers from the University of Copenhagen have discovered a method through which antibiotics can be used to impact pathogenic bacteria that are otherwise naturally resistant to treatment. “We have taken a somewhat alternative approach in our attempt to find a solution for fighting antibiotic resistance. Instead of looking for new antibiotics, we have chosen to look at what it takes to make known antibiotics effective against naturally resistant bacteria,” said Martin Vestergaard, a postdoc from the Department of Veterinary and Animal Sciences at KU. Today, bacteria such as staphylococci can cause serious illnesses, and the primary method of treatment is via antibiotics. 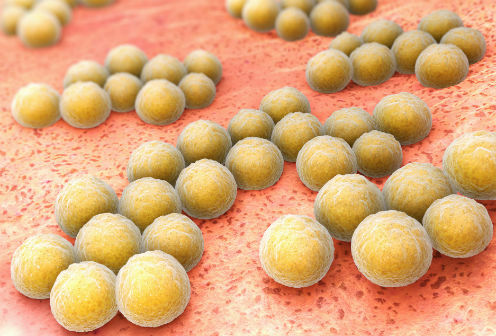 However, due to staphylococci being naturally resistant to certain types of antibiotics, there are only limited options when it comes to fighting staphylococci infections. An important part of the research has been to investigate how the bacteria react when exposed to the stresses of antibiotics, and the researchers have looked into the mechanisms and defence systems that make staphylococci naturally resistant. The resistant bacteria have a different structure and don’t have the same outer cell membrane as non-resistant bacteria, which can influence whether antibiotics can penetrate the inner part of the cell. The researchers have thus focused on how they can change the resistant bacteria’s structure so they can more easily be impacted by antibiotics. Through this process, the researchers discovered that by inhibiting the energy centre of the bacteria they could make it more responsive to polymyxins – an antibiotic generally used to treat salmonella and E-coli infections, but which is unable to penetrate staphylococci. Hanne Ingmer, a professor from the Department for Veterinary and Animal Sciences at KU, said the discovery could become a potent tool for hospitals in the battle against resistant bacteria. “Developing new antibiotics is expensive and time-consuming, and if we are to find new ways of fighting antibiotic resistance, we need to think along new lines,” said Ingmer. The research has just been published in the scientific journal mBio (read here in English).